Reliable electricity continues to elude many Nigerians despite a slew of policies and billions of Naira in budget appropriations to improve supply.The country’s long-standing electricity deficit is persistently blamed for hurting economic growth. In January 2018, the country experienced a national outage after a pipeline-fire crippled gas supply to several generating stations.Just what is Nigeria’s electricity situation? The most recent data from the Nigeria Electricity Hub, a tracking portal by an energy advisory firm, shows that Nigeria generated an average of 3,926 MWh/h in February 2018. The lowest output was on 1 February, at 3,023 MWh/h, and the highest (4,277 MWh/h) on 15 February. Nigeria’s highest generation ever took place on 25 August 2015 with 4,811 MWh/h produced. At the beginning of 2018, the country’s transmission network had 197 substations, up from 159 in 2015. The Transmission Company of Nigeria says actual transmission capacity stood at 7,124 MW at the end of February 2018, the company’s general manager of public affairs, Ndidi Mbah, told Africa Check. Of Nigeria’s 12,522 MW installed capacity, 5,381 MW was lost to maintenance and repair issues in 2015, a baseline report by the vice-president’s office found. The culprits were identified as insufficient gas supply, old infrastructure, sabotage and vandalism, poor water management and line constraints. Only a fraction of the country’s installed capacity – variously identified as 15% or 25% – reached end users. Compounding these problems, only about half of the 7.48 million electricity customers on the books of the country’s 11 distribution companies have prepaid meters. This is according to an electricity supply report by the official data agency for the fourth quarter of 2017. With four million users having no meters or the readings of their old meters not being taken, distribution companies are unable to determine the exact amount of electricity their customers consume. Many therefore get contentious estimated bills. In March 2018, the Consumer Protection Council reportedly warned distribution companies against arbitrary billing and illegal disconnections. The overhaul of electricity infrastructure and more favourable laws and policies since the reform programme have begun should ideally attract more investors and increase generation capacity, Ayodele Oni told Africa Check. He is an energy lawyer and consultant. But “continued theft, vandalism and collection losses” persist in weighing down the sector, he added. Following a 2015 review, Nigeria’s electricity commission set the electricity tariff at between N22 and N42 per kWh (7 to 14 US cents/kWh). This was an increase from N10 per KWh, which used to be one of the cheapest on the continent. Distribution companies have warned that even this higher tariff structure is not viable as it does not cover their costs, instead proposing at least N65/kWh. Consumers, especially manufacturers, would not have a problem with higher tariffs – if the electricity were available, Chijoke James, the president of Electricity Consumers Association of Nigeria, told Africa Check. 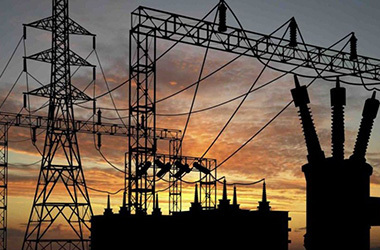 The electricity sector has been hurt by weak regulation and implementation of existing laws by government, Obioma Onyi-Ogelle, who teaches energy and natural resources law at the Nnamdi Azikiwe University, told Africa Check. James said the sector has the potential to become profitable and grow – as the telecommunication industry had – because demand is high. Azura power project (459 MW), which is completed and undergoing commissioning tests. Geometric power project (1,140 MW) has been completed but is not yet operational. Zungeru hydroelectric power project (700 MW), which began in 2014 and is expected to be completed in December 2019. The contract for Mambilla hydroelectric power project (3,050 MW) was signed in November 2017. A number of solar power projects targeting hundreds of megawatts have sprung up across the country, with GreenWish Partners set to invest US$280 million to build solar power plants in Nigeria. Want to find out what is going on to the rest of the continent’s electricity? Visit our article here.